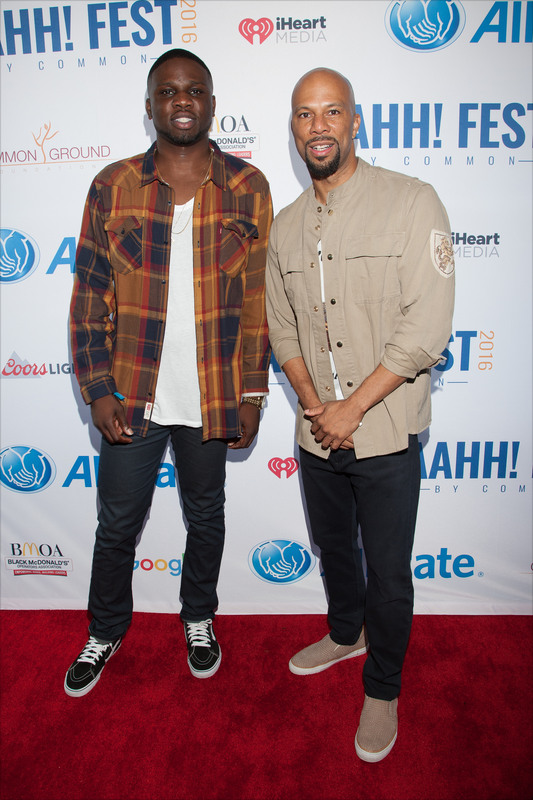 Allstate and Common Ground Foundation sponsor AAHH! Fest to uplift Chicago Families - Luke Lawal Jr.
9/24 and 9/25, Chicago-I traveled to Chicago to attend AAHH! Fest by Common Saturday, September 24 and Sunday, September 25. Common, HBCU grad and Chicago based rapper, established AAHH! Fest to bring jobs, education, and inspiration to his hometown by raising funds for Chicago based non-profit organizations, Common Ground Foundation and Dondas House Inc. In support of AAHH! Fest’s mission and initiatives, Allstate, one of the festival’s major contributors, sponsored the AAHH! Fest in support of the festival’s mission and initiatives and to promote their HBCU initiative, Quotes for Education. The Allstate Quotes for Education Program was established to provide financial assistant to HBCU students. $10 of every insurance quote is donated to the Tom Joyner foundation to further assist HBCU students. It was breathtaking to see what Common does for the community. It was even better to know that Allstate sponsored and helped make it happen. Allstate is an amazing brand and I am so glad that I was able to witness what they do for the community. The AAHH! Fest Community Stage kicked off on Saturday with food games and more where family and friends in the Chicago community showcased their talent for a chance to perform on the main stage on Sunday, September 25 with all-star R&B hip hop artists. Ice Cube, Bilal, J.Cole and other artists performed at The Main Stage, the highlight of the festival on Sunday.